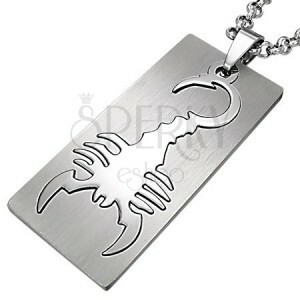 Pendant made of 316L in silver colour, rectangle with cutout motif of a large scorpion. Rectangular steel pendant in silver colour with smooth and mirror-shine surface. 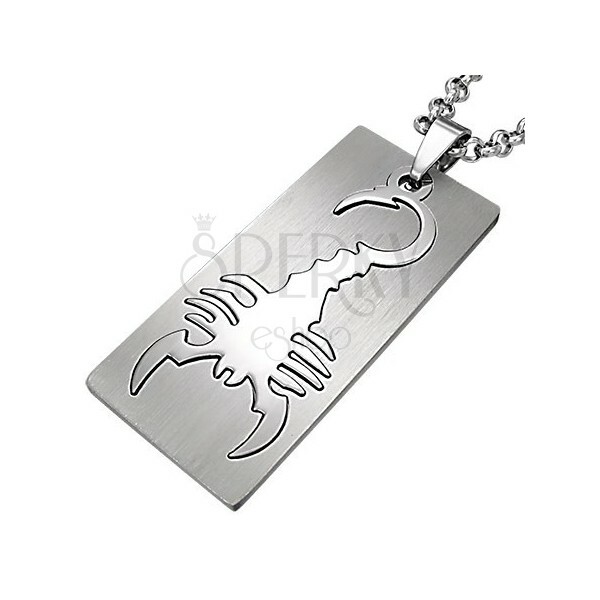 Inside the rectangle there is a scorpion cutout hanging from its own eyelet. The eyelet for chain has elongated shape.